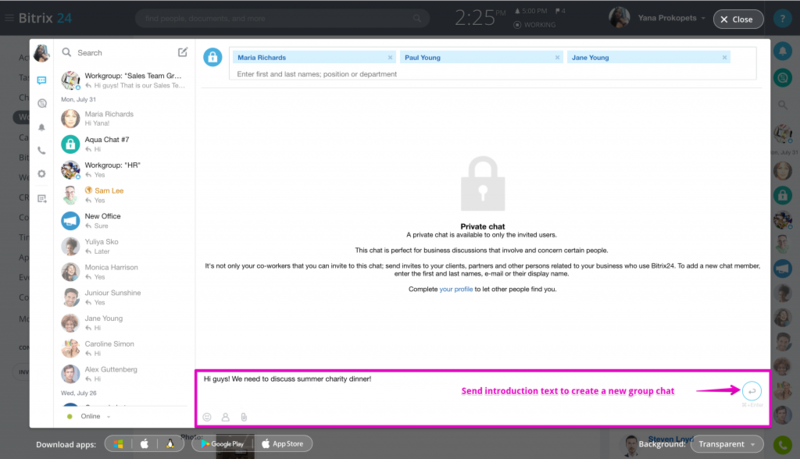 Besides Bitrix24 General chat, person-to-person & public chats, users can also create private group chats with restricted access. A chat of this type won't be shown to all users in chats list and will be available to its members only. In other words, only those users who have been invited to this chat will see it. This chat is perfect for business discussions that involve and concern certain people. Please note that account administrators don't have access to private chats (only to those where they are listed as chat members). 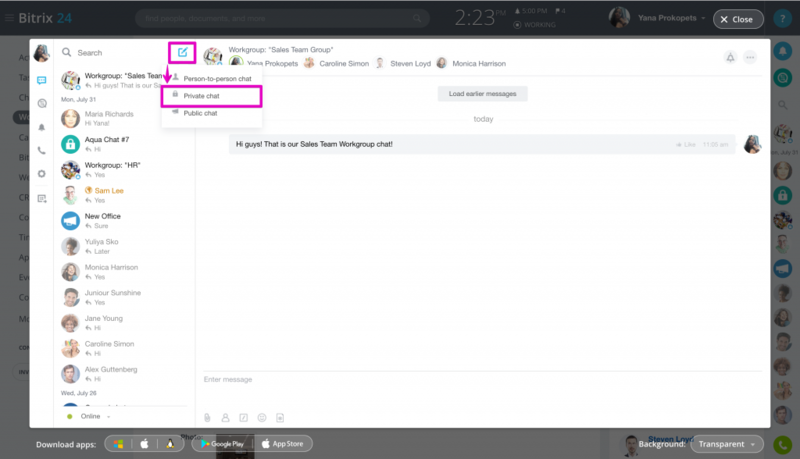 Only those users who have been invited to the chat will receive a notification about this new private chat creation. 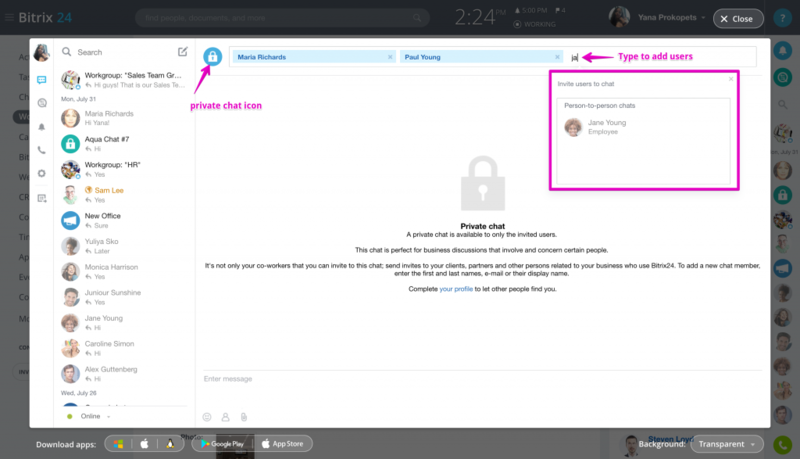 When a new private chat is created it is automatically marked with a special color and is given a default name. Click on chat icon to upload your own custom image. Chat name is customizable as well. 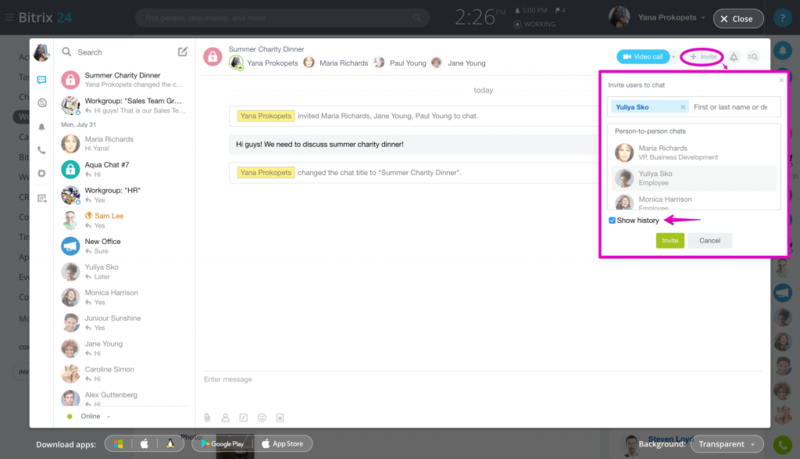 Video calls are supported for up to 4 users at the moment. Chat notifications can be disabled as well. To open the chat options menu - right click on the chat icon in the left chats list. 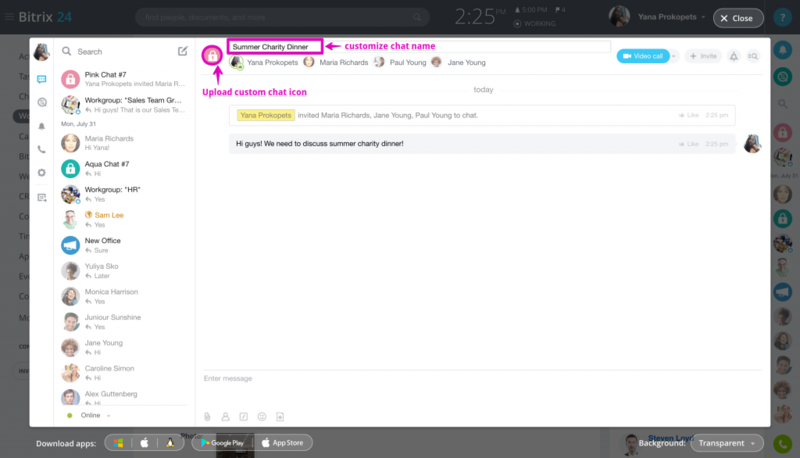 Users can be invited to the chat at any time. 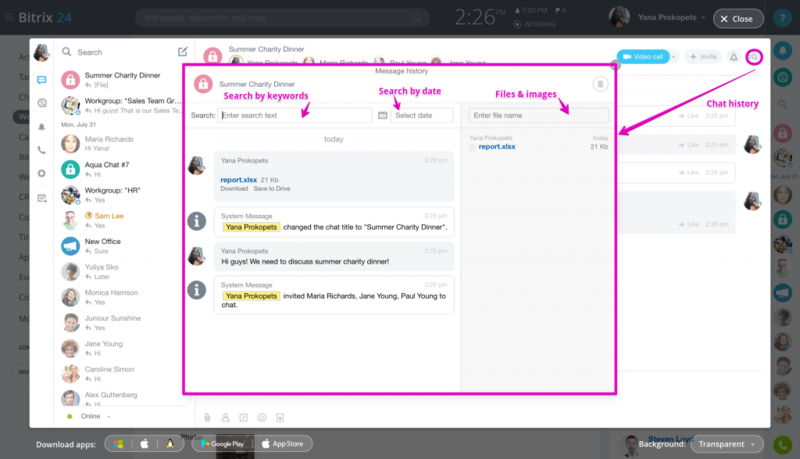 Don't forget to enable Show History option for users who has been invited later, so that they will be able to see previous chat messages. 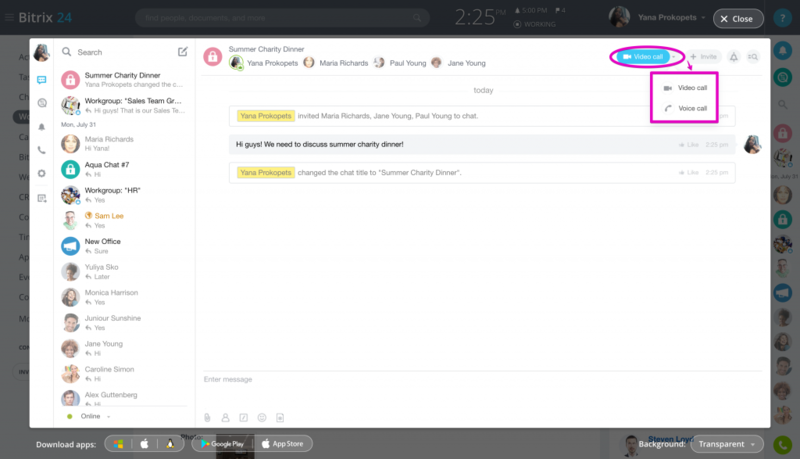 If chat notifications bother you too much, you can disable them with the help of special notifications icon located between History & Invite tabs. This chat type will suite best to collect special group of users interested in particular topic.